In Europe Oxford Filtration represent The Kraissl Company and supply transfer valves which are used to duplex two pieces of equipment together in continuous flow without shut off. Examples are duplexing of two heat exchangers, filters or tanks. 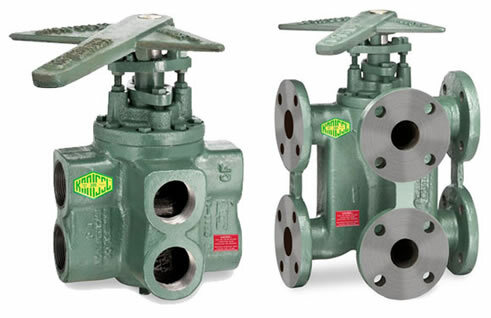 Transfer valves are available in 3/4" through 8" in cast iron, carbon and stainless steel with screwed and flanged fittings. They are supplied in both standard and high pressure models. They are designed for 100% full flow. Kraissl valves have been accepted for many years in accordance with API614 and other standards for lubrication oil systems. Optional surface treatments can be applied to give extended life or specific sealing characteristics. Refer to www.strainers.com for more details.